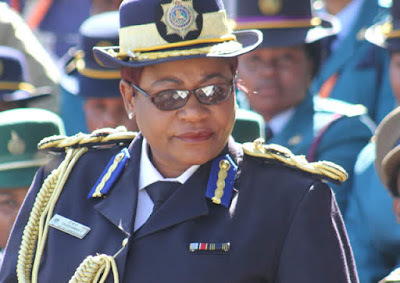 Police has urged members of the public to disregard messages circulating on social media alleging that the force was investigating certain individuals for using Virtual Private Network (VPN) during the violent MDC Alliance led protests recently. In a statement, chief police spokesperson Commissioner Charity Charamba said such messages were fake. “The Zimbabwe Republic Police wishes to inform the general public that a message circulating on social media purported to have originated from the ZRP advising certain members of the public that they are being investigated by the police on unauthorized use of Virtual Private Network (VPN) is fake. “In the fake message, some members of the public are being advised to surrender their passports and any other travelling documents in their possession to police and to advise the police of any of their travel arrangements," she said. She said members of the public were being advised to disregard the message as it does not originate from the ZRP. “The ZRP does not communicate through unofficial and unverified social media accounts. ZRP wishes to warn those misusing the social media, peddling lies in the name of ZRP that they face arrest and prosecution,” Comm Charamba said.